A few years ago, my wife Alexis and I attended a performance of a troupe called The New Vietnam Circus. 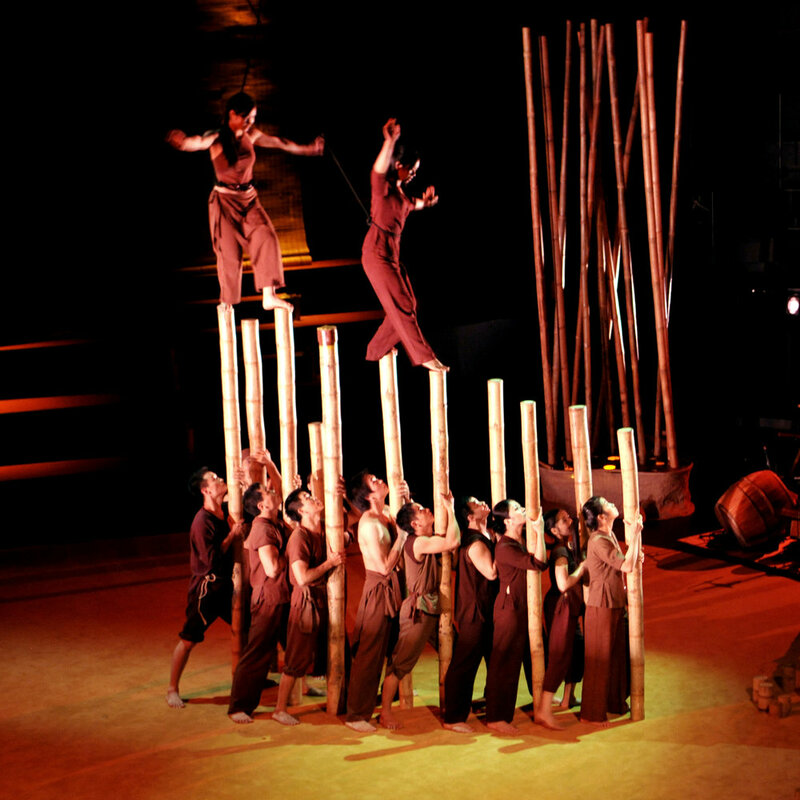 Trapeze artists, dancers, and musicians from Vietnam wove a tapestry of sight and sound, inspired by the mythical power of the bamboo. It was unforgettable and beautiful and strange and perfect. After the performance, I bought a couple of . . . of what I thought were knick-knacks at the theater store: a ten-euro bamboo flute, and a five-euro nose flute. Toys; cute objects; mementos from the evening. “Nothings.” But I was wrong in my assessment of their worth. This is my nose flute. The Obama bobblehead is there only because I really, really miss Obama. I put the nose flute aside and didn’t think much about it. Then, roaming YouTube the other day, I came across a clip of a jokey but affecting performance of the song “Africa” by two people playing ukuleles and blowing on plastic nose flutes, which they attached to their faces with rubber bands. I felt I needed to educate myself a bit on the nose flute. I discovered that there exist many types and models, and many aesthetics. The ukulele-playing girl has developed an impressive set of nose-flute skills, and she has a devoted following on YouTube. She calls herself the NoseFluter. Her partner on the “Africa” clip does his own thing, too, clever and touching. But here’s the thing. Watching these skillful silly skits employing the nose flute, I surmised that there must a different dimension, a secret and deeper reason for the nose flute to exist and for people to become involved with it. And I found it, deeply embodied in this Vietnamese woman. Played in this manner, the nose flute requires poise, breath control, a connection with the Creative Source, an inner discipline. Through the nose flute, the ego might possibly disappear, allowing the Self to emerge. Silly skits are the profane manifestation of something that exists in the divine realm, connected with Nature, timeless and eternal. Don’t get me wrong: I’m in favor of the profane, which is a necessary counterpart to the sacred. Plus, I’m not saying that something is either sacred or profane. The yes/no switch doesn’t apply to metaphysical matters! Plus plus, I’m not saying I even know what those big words mean: sacred, profane, the ego, the Self, the Creative Source . . . no. I can’t begin to define them. Instead, here I’m simply posting my own modest contribution to the Nose Flute canon, and I offer my clip as my “Happy 2018” to one and all. Let the New Year bring you Two Nostrils, one sacred and one profane!